“It takes companies an average of 52 days to fill open positions,” according to Talent Acquisition Factbook 2015 by Bersin. The Factbook also reveals that average talent acquisition cost was nearly USD 4,000 per hire in 2014. Among industries, manufacturing had the highest cost, topping out at USD 5,611 per hire in 2014. For SMEs, these costs are already unreasonable and it is all set to rise in coming days. Read the stats of 2015 Talent Shortage Survey by the Manpower Group. The survey reveals that the TALENT SHORTAGE in 2015 peaks at a seven-year high of 38%. Now, imagine the challenges employers will be facing in coming days due to the skills gap. We discussed possible solutions with our consultants and they recommend that instead of wasting nearly two months (~Refer 1st Paragraph) to find the perfect candidate, companies must start investing in in-house training management system to groom talent they already employ. But the irony is that ‘only 1/5th respondents (i.e. employers) are providing supplementary training to their current workforce and just 1/10th are trying to tap into new talent pools,’ according to the 2015 Talent Shortage Survey. Unless companies and HR managers take proactive steps, the skills gap will continue to grow. HR managers should begin the process with a skill-gap analysis. They should use their existing HR data (i.e. employees’ online profile along with certifications, credentials and competencies) to create an inventory of employee skills. This inventory may serve as a baseline for the training or learning goals and future performance evaluations. In addition, HR managers may also conduct employee surveys to accumulate extra or required information for the inventory. Unfortunately only 58 percent SHRM survey respondents indicated that they had done a strategic-workforce-planning assessment and identified short term skill gaps and workforce requirement, according to Ms. Susan R. Meisinger, former president and CEO of the Society for Human Resource Management. Once you are ready with the list of skills gaps, you need to develop a fool-proof training plan to bridge the gaps. According to experienced HR professionals, the most effective and successful approaches spans the whole gamut of Human Resource Management System (HRMS) from recruitment to succession planning. These systems are intelligently designed to track employees’ competencies, education, skills and training against defined organizational goals. 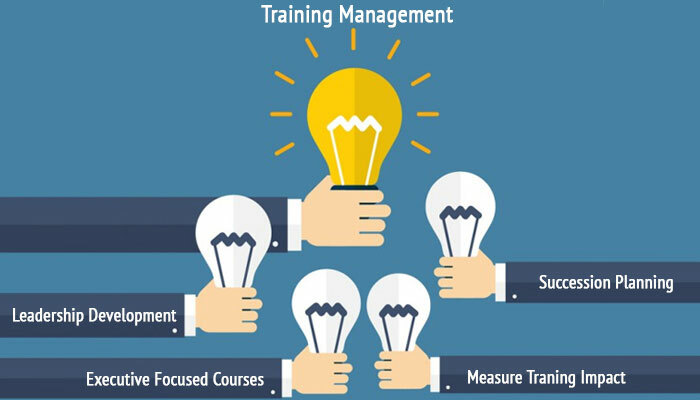 Some of the modern training management systems may also serve as a platform to conduct webinars, e-learning and so on. Instead of coaching one employee at a time with these systems, HR managers can execute as well as track a larger strategy that aims to bridge skill gaps across the organization. Addressing big problem requires careful planning, analysis and execution. Well-designed tools such as Empxtrack can help in storing different facets of an employee’s lifecycle in an organization. This data, when analyzed can yield better methods to handle the existing and future business challenges.